At Sudbury Steam Cleaners we understand the unique needs of your business! That’s why our 18,000 square-foot facility is equipped with the right cleaning and pressing equipment for your job. 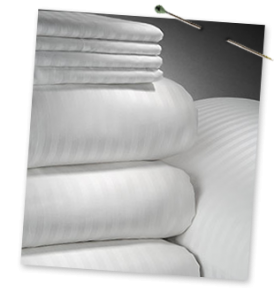 We provide commercial laundry services to restaurants, hotels, motels, golf clubs, spas, casinos, offices, educational institutions and more. Over the years, Sudbury Steam Cleaners has become one of the most diversified commercial laundry and dry cleaning operations in northern Ontario. We have invested heavily in technology making us one of the most efficient plants anywhere.